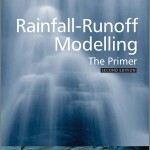 The 2nd edition of Keith Beven's Rainfall-Runoff Modelling -The Primer has just been published by Wiley. It includes a number of new Beyond the Primer Read more.. The problem of algal bloom contamination in lakes was the topic of a one day meeting in the Lake District between scientists from the UK and China together Read more.. The problem of algal bloom contamination in lakes was the topic of a one day meeting in the Lake District between scientists from the UK and China together with members of the local community. The initiative is part of the UK-China Bridge project to share expertise between the two countries. Professor Gang Pan from the Chinese Academy of Sciences in Beijing is an expert in lake contamination and has devised equipment to clean up Lake Taihu in Jiangsu Province. The lake is the size of the entire Lake District and had turned green because of the algae, which is harmful to fish. He joined Professors Phil Haygarth, Roger Pickup and Dr Maria Fernanda Aller from Lancaster University, Professor Stephen Maberly from the Centre for Ecology and Hydrology (CEH) and local representatives including the Mayor of Windermere Joan Stocker, Nigel Wilkinson from Windermere Lake Cruises and Bob Cartwright, Director of Park Services at the Lake District National Park Authority at an event hosted by the (FBA). They met in Ambleside to discuss common solutions to lake bloom algae before taking a cruise on Lake Windermere. Professor Haygarth said: “Algal blooms are a potential health hazard and can be toxic – they have even been known to kill animals. Last year the Great North Swim was called off because of algae in the water. The Mayor of Windermere Joan Stocker said the meeting had been useful. This was a reciprocal visit following a trip by Lancaster researchers to meet Professor Gang Pan and the Mayor of Wuxi at Lake Taihu last year. For more details of the project please visit the website. Both nonstatutory community-based catchment management groups and existing statutory groups seek effective environmental management characterised by public Read more.. Both nonstatutory community-based catchment management groups and existing statutory groups seek effective environmental management characterised by public participation, collaborative working and decentralised modes of assessment, planning and decision making. The characteristics and challenges of catchment management for water resources and protection of water quality require such approaches, and an expansion of both community-based and state-led initiatives has been evident in the United Kingdom. Available information about these developments is, however, limited and this paper reports survey findings of such initiatives, providing a mid-to-late 2009 ‘snapshot’ of the situation in England and Wales. Catchment management groups are profiled in terms of size, organisational structure, membership, financing, technology transfer, policy influence and other outcomes. The results are interpreted with reference to a growing international literature, the potential sustainability, effectiveness and impact of groups and environmental governance challenges, including those posed by the European Union Water Framework Directive. Forthcoming conference 'Protecting Water Catchments from Diffuse Pollution - the Emerging Evidence' organised by the Royal Society of Chemistry Water Science Read more.. The Government Water White Paper is now available. describes a vision for future water management in which the water sector is resilient, in which water Read more.. The Government Water White Paper is now available. describes a vision for future water management in which the water sector is resilient, in which water companies are more efficient and customer focused, and in which water is valued as the precious and finite resource it is. It also explains that we all have a part to play in the realisation of this vision.